Morse Team: Consider growing your career with The M. K. Morse Company. Our mission is to enrich everyday life through superior, technologically advanced hole boring and material separation products, and our people are the most critical component toward delivering on that mission. You’ll join a successful team of smart, dedicated professionals who are not only the best in their respective fields, but are committed to a tradition of technological leadership and innovation. With Morse, you’re joining a company that offers a family-friendly culture and understands the importance of work/life balance. You’ll be empowered to pursue your career path with an unsurpassed in-house professional development program and opportunities for advancement. Additionally, you’ll be recognized for your achievements and treated with respect. If you share our passion for innovation, are committed to excellence, and want to help us build strong, respectful customer relationships, we’d like you to consider joining our team. The Best People: Attracting and retaining the best people are important components of our competitive strategy. 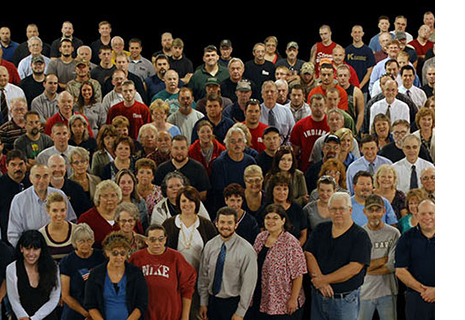 Many of our staff members are lifetime employees of Morse. It is not unusual for staff members to work for one or more departments over the course of their employment. Highly qualified employees who do outstanding work in their area of expertise are the driving force behind development and innovation at Morse. Regardless whether you come from a background in engineering, information technology, metallurgy, or something completely different, we offer various career development prospects. You can expect interaction with others on a global scale, collaborating and communicating with employees, distributor partners and/or customers as part of international project teams.